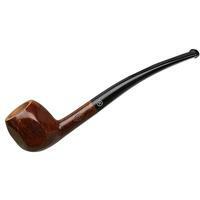 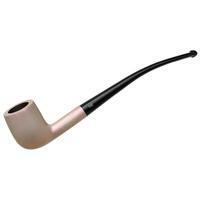 It may not fit easily into a pocket, but this Genod Petite Churchwarden offers an easy smoking posture, just like a traditional Churchwarden but in a bit smaller proportions. 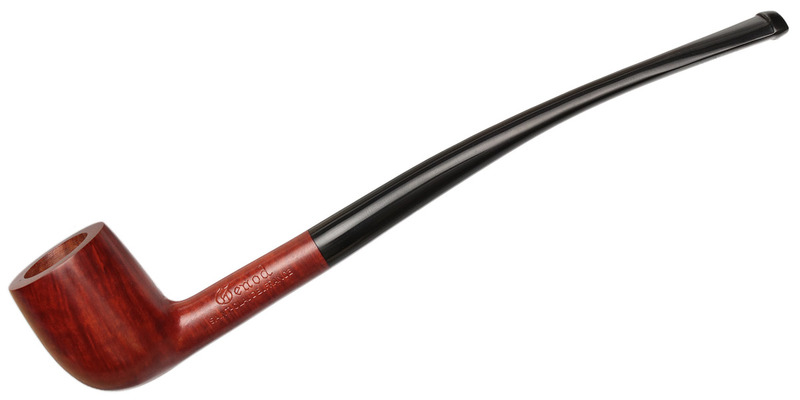 Lithely bent, a classic Billiard bowl is perched on the end of the lengthy stem and shank combination, dressed in a vivid, burnt-orange stain. 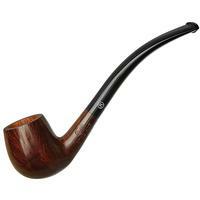 Bowl Height: 1.55 in./39.40 mm. 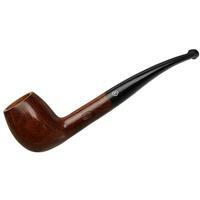 Chamber Depth: 1.35 in./34.36 mm. 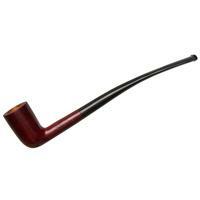 Chamber Diameter: 0.70 in./17.83 mm. Outside Diameter: 1.16 in./29.55 mm.